This is a set of the most necessary tools with which you can create beautiful moments of your work, inspiration, mood, work desks, and share them on social networks, and save and paste on your site or blog! This set is perfect for artists, freelancers, fashion bloggers, and anyone who loves to create. File format: .psd, .pat for Photoshop or other software. 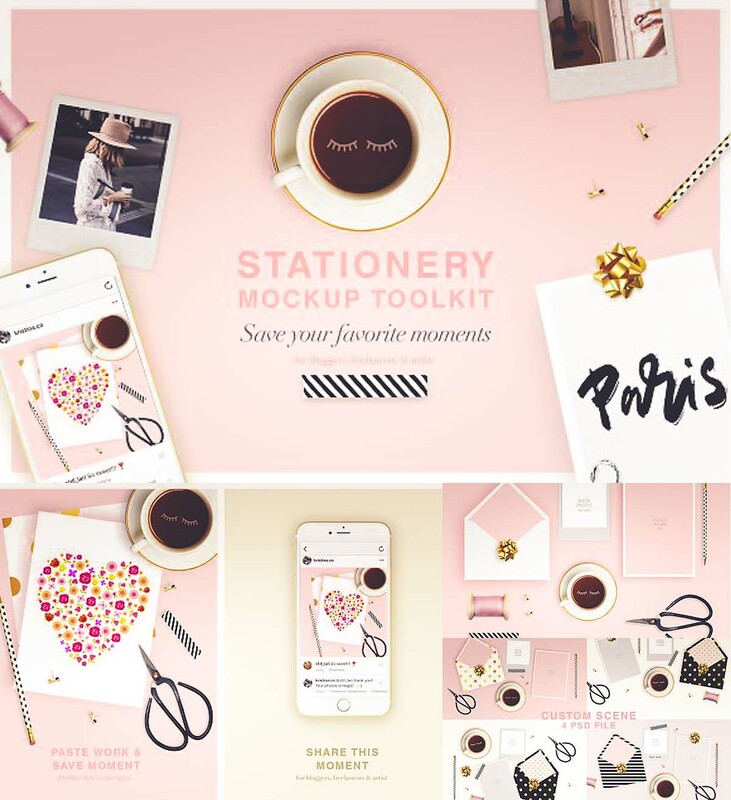 Tags: feminine, iphone, rose, social media, stationery, toolkit.